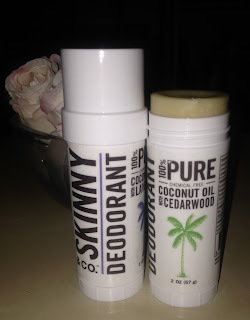 Skinny & Co kindly sent me two all-natural deodorants to try, currently made in two scents – Lavender and Cedarwood. Skinny & Co. products are cruelty-free, Leaping Bunny certified, organic, and free of aluminum. Skinny & Co. launched in September 2013 by two brothers who patented a process of using coconut oil that is wild harvested, hand pressed, small batched, never heated, 100% raw, 100% virgin, and 100% without chemicals and solvents - enhancing the coconut oil’s effectiveness. 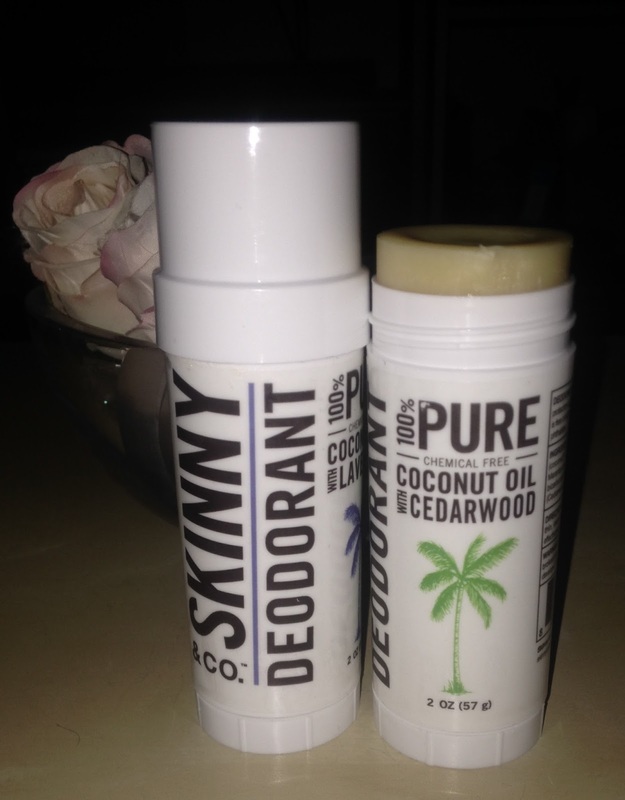 Skinny & Co. Deodorant contains simple ingredients: Arrowroot, Coconut oil, Carnauba beeswax, Baking soda, and Lavender essential oil or Cedarwood essential oil. 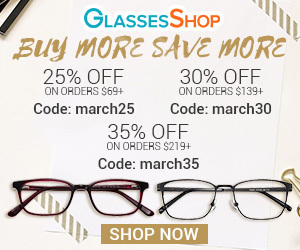 I love a good simple product! Cedarwood has a light scent and Lavender had a slightly stronger scent that isn’t overpowering, both scents lasted throughout the day. One day I was in a rush and forgot to put on perfume but didn’t worry because I had a light Lavender scent on me all day with the deodorant. 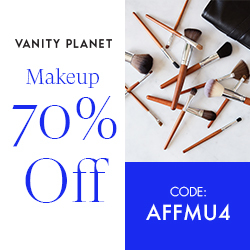 I really like this formula and have found that it does a good job of keeping odor at bay for a full day, for day-to-day use I am very happy with it. Because is a deodorant and not an antiperspirant, it does not protect against wetness. This is a reason why I have had trouble with natural deodorants, I perspire easily and feeling wetness is not fun. No one wants sweaty armpits or the armpit stains…. And I totally get that! That being said, I do perspire easily and we have had some hot weather in Edmonton lately, I did feel some wetness when doing some physical activities outside but my underarms stayed pretty dry when doing basic activities. This deodorant definitely left me with less wetness than other natural deodorants I have tried. The deodorant stick is hard but applies really soft and smooth to the skin. Considering it is made of coconut oil, I was surprised that it hasn't melted with the hot weather and being in a hot apartment. I plan to definitely repurchase this product and try some other products very soon. Skinny & Co. Deodorants are $14.00 and completely worth it! 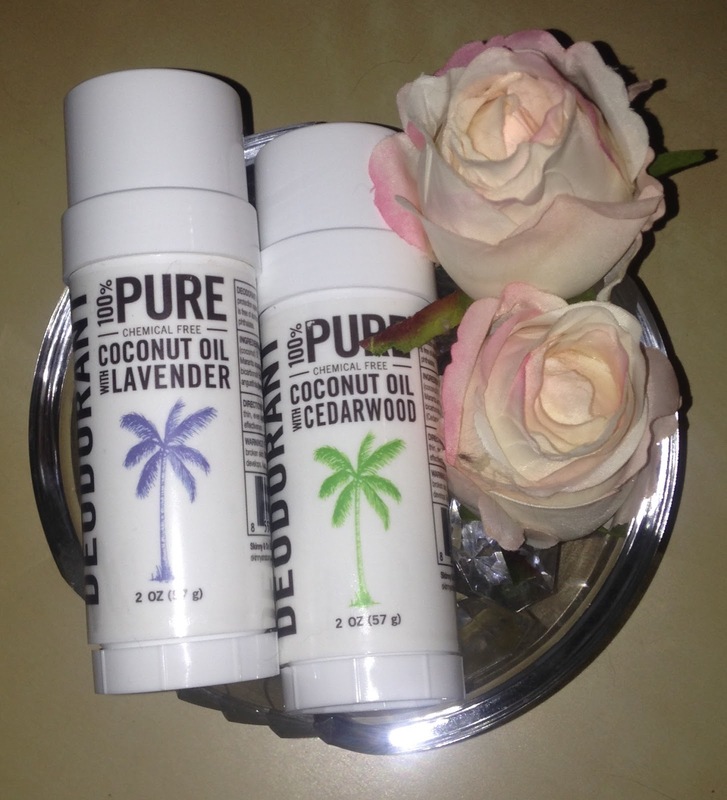 Definitely one of the best all natural deodorants I’ve tried in the past few years and I highly recommend trying them! 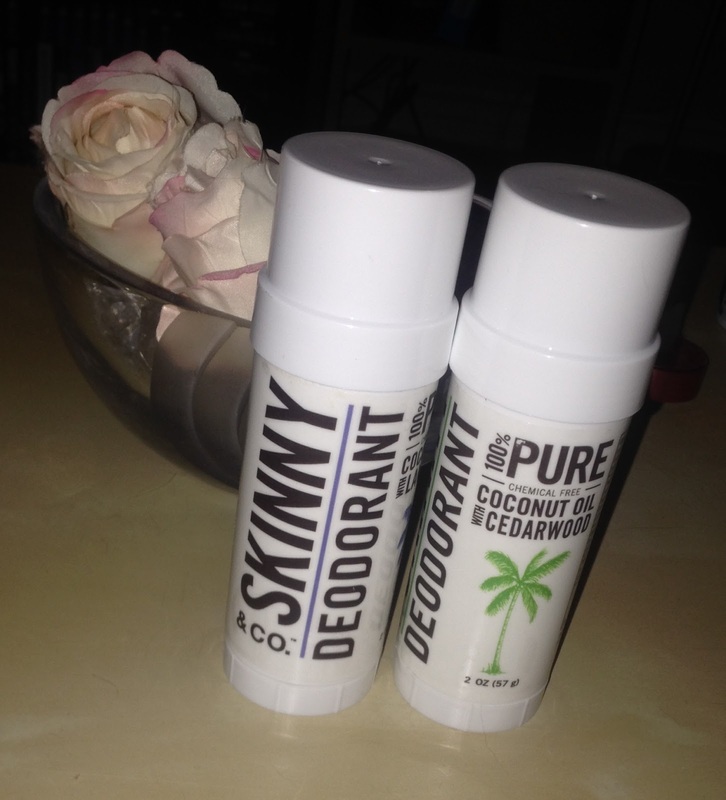 Get New Deodorant from Skinny & Co. Today!